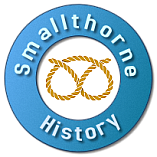 I have lots of memories of Smallthorne, my Great-grandparents moved to Smallthorne from Biddulph at the turn of the last century and lived in Derby Street. My Great-grandfather , James Walley, worked in the pits. My Great-uncle, his Christian name slips my mind at the moment, but I have him documented in my family history but he too was a Walley, became the station master at Ford Green Junction. My Grandparents, Ralph and Eirewen Walley were married at St Saviour’s Church and lived in Heath Street, where my father was born in 1939. As a child, I attended the Salvation Army in Camp Road, that was in the days before the current brick building was built in 1970 (I was in attendance when that was being built and first opened), it was in the days when it was an old, blue wooden building. I was a member of the first Young People’s Salvation Army Band to be commissioned at the Smallthorne Corps and the Sentinel should have a photograph of those of us who were in the band at the time, as they came and took our picture, which appeared in the Sentinel in 1971. I can remember sneaking across to the outdoor in the Albion with my brothers, who also attended the Salvation Army, on Sundays to purchase bubble gum and penny sweets to eat while we attended the Sunday school at the Salvation Army. I also remember my second cousin, Jim Walley and Maude, who owned Walley’s Taxis next to Ford Green Hall. Always waving to them when they drove by in their traditional black cab. The ethos of this site is about sharing local memories and history so we welcome all contributions. Please get in touch if you have something to share.